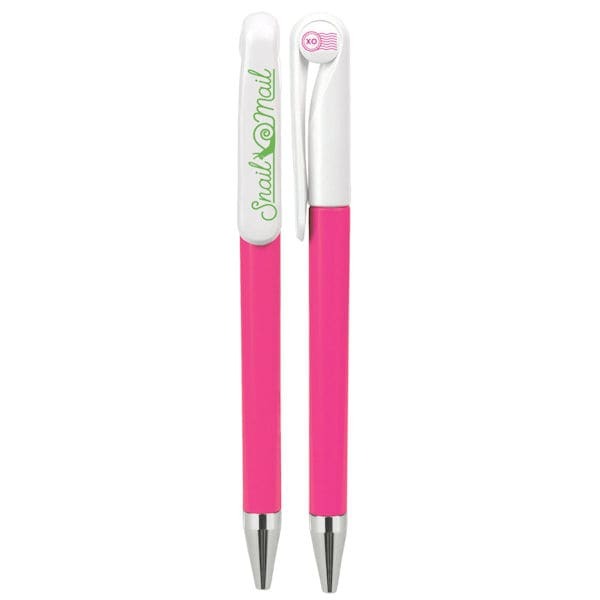 The incredible longevity of these cool writing utensils makes them absolutely irresistible. You see, the Swiss-made metal-and-plastic retractable ballpoint pens, which write in smooth black ink, have a long-lasting tip and an extra-large ink cartridge, so one pen will write five and half feet a day for seven years! With several fun designs to choose from, you're sure to find a new favorite pen for a special someone. Choose from Bee Happy, Snail Mail, Cat Lady, Piano, Mermaid and Guitar.